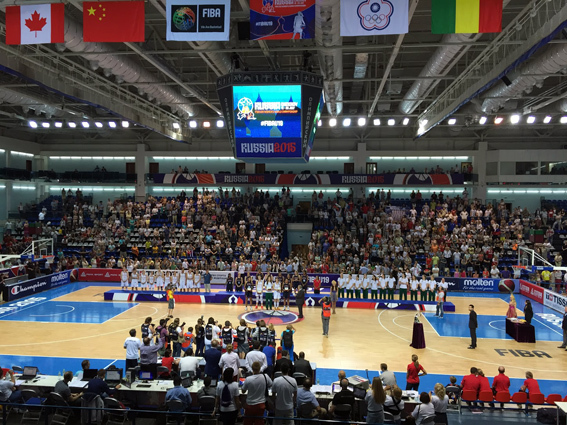 Using extremely mobile technological solutions, Blitz Technology provided for the above events the audio/video capturing-mixing-recording, graphics insertion as well as encoding and streaming to the FIBA YouTube channel. The transmissions were performed in HD format (mostly 1080p) in order to match the highest possible video quality offered by YouTube today. Blitz Technology can provide Live Production and Streaming (LPS) services virtually anywhere in the world. For further details please send an inquiry at office@blitztechnology.ro.